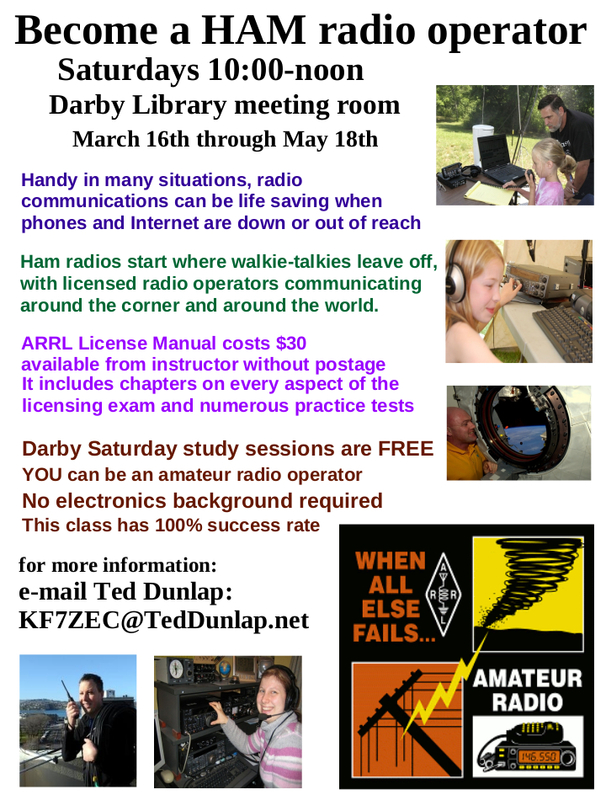 I am bringing another amateur radio operator licensing class to Darby, Montana. I have not keept track, but think I have personally assisted 15 or 20 people to earning their FCC licenses through my study groups in the Darby, Montana library. My track record garnered me the assignment as the local ham club (BARC) education coordinator. The club has many people who know radio A LOT better than I do, but none who can teach as well. The snide saying goes, “Those who CAN, DO. Those who cannot, TEACH”. I’m okay wearing that. Good instructors are as rare as good anything else. I did not choose this calling, blessing or curse. It chose me. Run with your talents. To know what is right and not do it is the worst cowardice. There is no shortage of critics, whiners, complainers and victims.